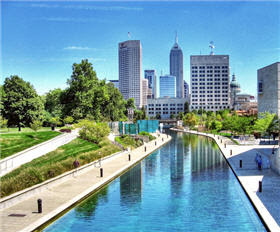 Do you live and work in the Indianapolis area? If so, come on out to the next Indy ALT.NET meeting this week where I'll be the guest speaker. The meeting will be held this Thursday, July 17th and it will start around 6 PM (local time) with food and drink and socializing starting around 5:15. You can find all of the details on the Indy ALT.NET website. For my part, I'll be doing a new talk titled "Telerik Tools in an ALT.NET World," which will highlight more advanced features of the RadControls for ASP.NET AJAX running in what could be considered a "real world-ish" demo application. "Real world" because it will be a multi-tier, NHibernate-powered, TDD built, DDD inspired application- not some simple one-tier demo app. In the talk I'll show you how you can use the RadControls with open source tools like NHibernate and NUnit to build powerful, scalable applications, and I'll show you how you can use many of the new features in the RadControls to improve the performance of your web apps. It should be a fun talk with lots of new stuff- I'll even be doing some LINQ to NHibernate- so come on out if you're in the area. If you're not, I'll make the slides and code available here shortly after my talk. See you on Thursday! Unfortunately I am in California. However, would love to see it in a Live Meeting kind of a webinar. I wish I was aware of the meeting. I just started designing and skinning for Sitefinity in '08. It is a great product. I have launched 4 Sitefinity sites and have two more in development. I would love to hear you speak if you come back to Indy! Hope to see you in Indy soon!